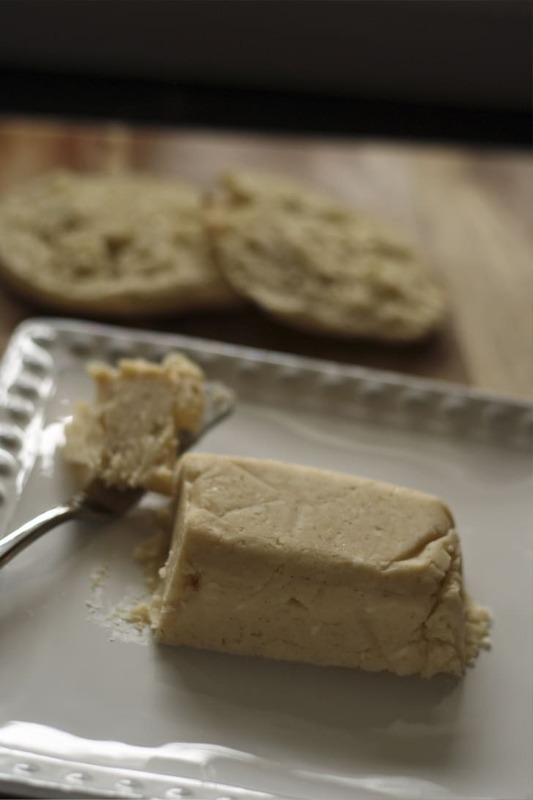 Honey butter is easy to make at home and is great on toast, English muffins and scones. When used on pancakes, its sweet enough that you can often go without syrup. This week has been a week of food blunders. I set myself the lofty goal of 2 new recipes a week and everything this week has been a bust. So, y’all will get this one new recipe on Sunday at week-end. You may notice my photos are looking a bit different as of late – and there are a few really good reasons.
. (affiliate link) Wow! What a difference. After I started using the 50mm lens, I decided to learn how to shoot in manual mode. That was a little difficult at first so I decided to start reading a book to help me. I’ve been reading the Tasty Food Photography e-book from Pinch of Yum – Click here to visit Pinch of Yum (affiliate link). I feel like I’m learning so much. All of the photos that I took for this post I took using some of the things I learned from this book. I’ve got a lot more to learn, but it feels so good to be learning again. Next on my photography bucket list is the Food Photography E-course (affiliate link) from Minimalist Baker. I love the helpful emails I get from both blogs – I recommend signing up for both of their email lists if you are a food blogger. My next step is to purchase a tripod and take a photography class, in person. I took some of these photos standing on top of my counter. This was problematic for the simple reason that I couldn’t get down. Luckily just as I finished taking the pictures, Mr. B came home from walking Nero so he was able to help me. AND, as he was helping me get down I noticed a hawk/squirrel showdown in our back yard (the squirrel ran away unscathed.) I got stuck on the counter because I was meant to watch the action. 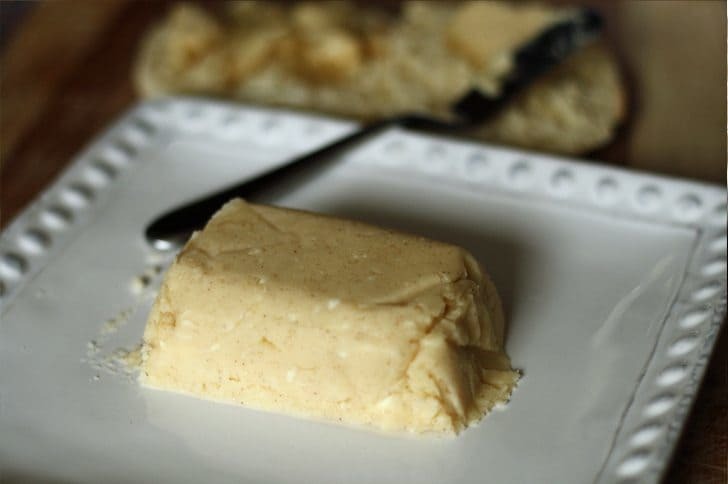 Wait until the butter is very soft - then combine all ingredients in a bowl. 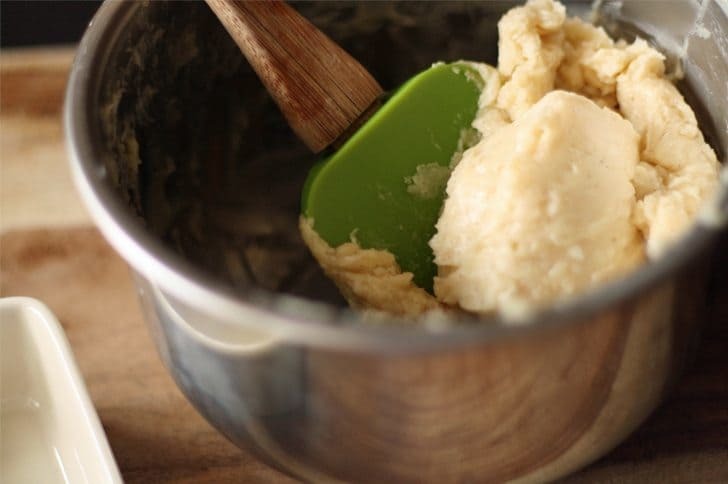 Mix well using a spoon or spatula. 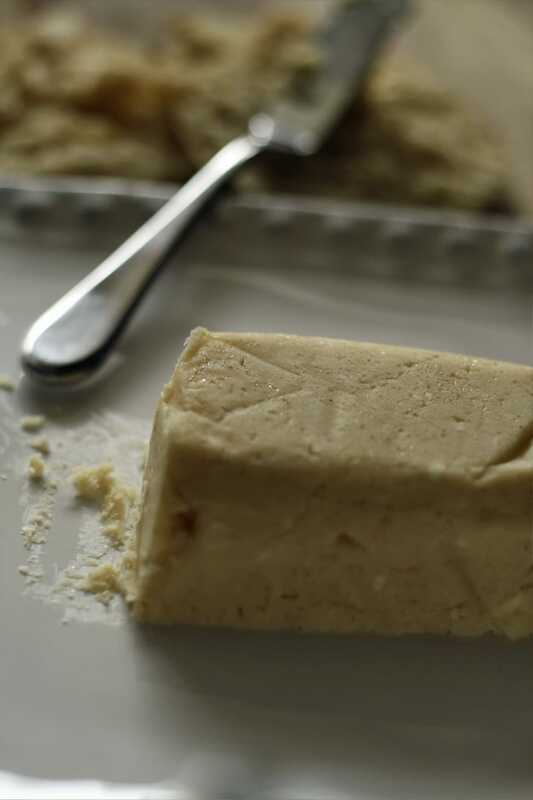 If butter doesn't blend well with the ingredients, set aside for 20 minutes and mix again. Repeat until all ingredients are well combined. 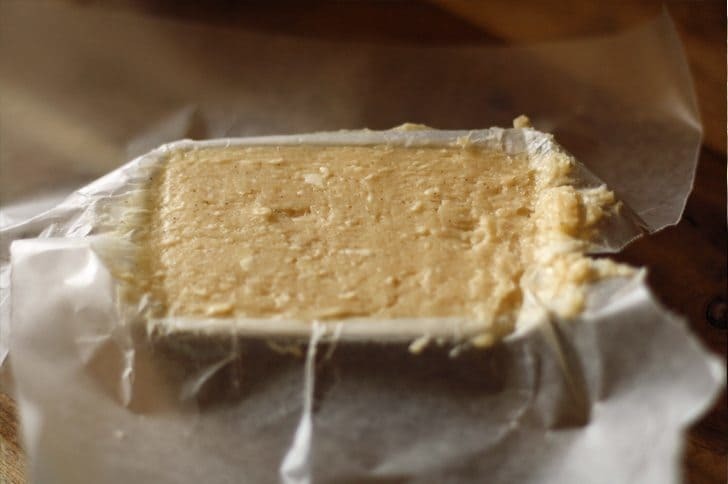 Line a small dish with wax paper and press the butter mixture into the dish. Refrigerate for 2.5 hours before serving. 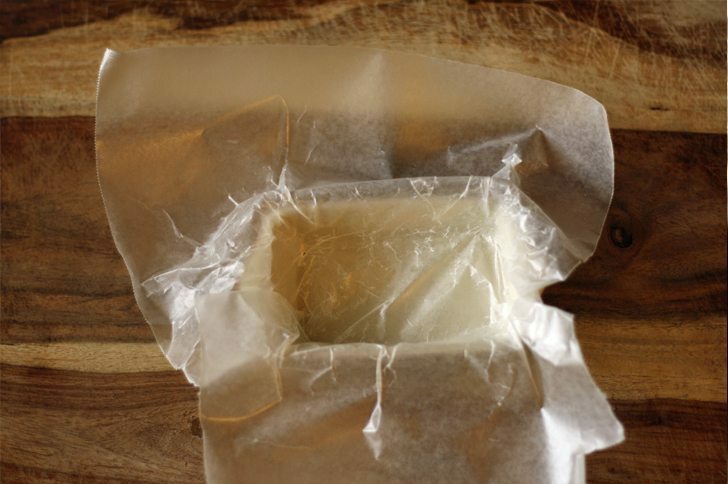 Alternately, you can put the butter mixture on top of plastic wrap and roll into a cylinder before refrigerating. I hope you enjoyed my honey butter recipe! And if you have any food photography resources you’d like to share, please share! You can email them to me at jennyb@honeyandbirch.com or add a comment. 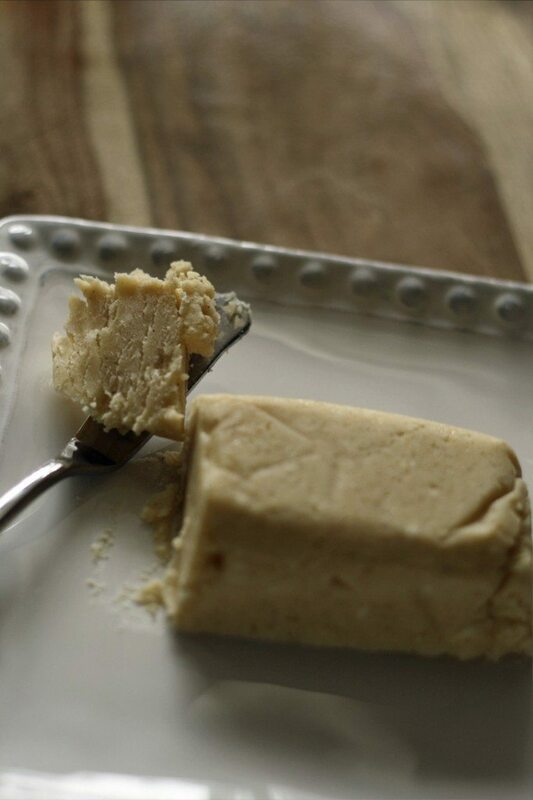 mmm, I love honey butter – but I’ve never made it myself. thanks for this post! 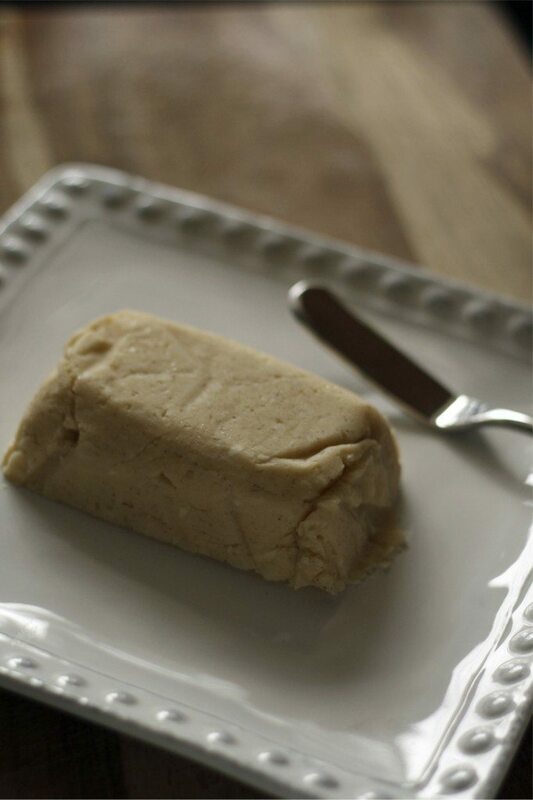 Thanks for visiting – honey butter is so easy to make. 🙂 If you make it, let me know what you think. This sounds really great I am going to make it for my Dad, he loves honey! 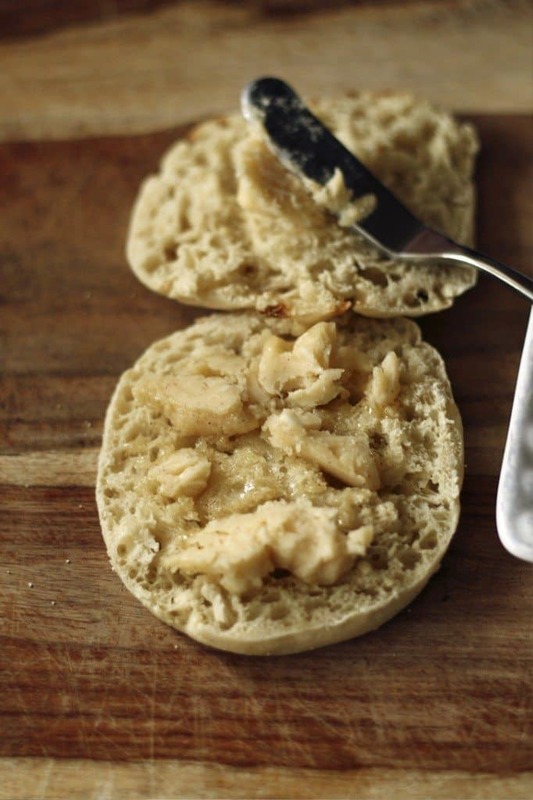 Honey butter on toast with hot coffee sounds great. This reminds me of my dad. He would make honey butter for us sometimes on weekends. He didn’t shape it, just mixed it up and it was immediately applied to toast and such. This makes me want to mix some up myself. thanks for this, will definitely have to try! 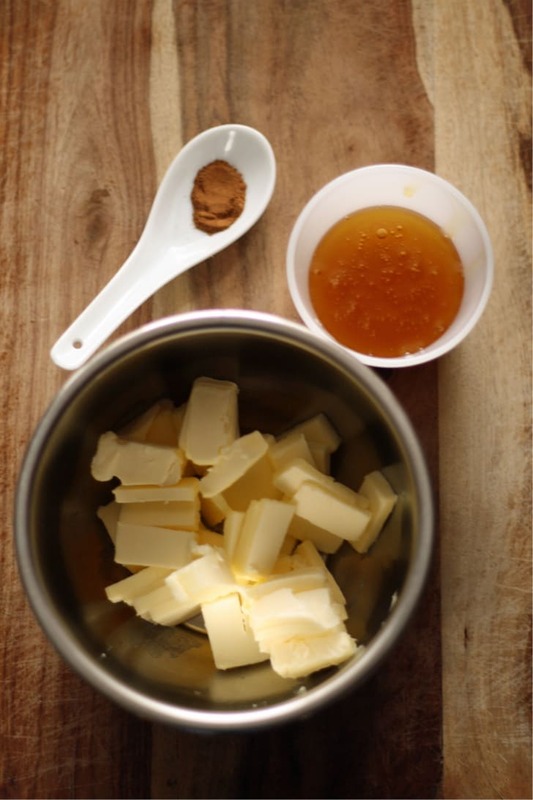 I’m going to try the honey butter recipe. It looks delicious. Love the new camera lens. That is close up! Thanks! What a difference a new lens makes 🙂 I hope you’re enjoying your weekend! 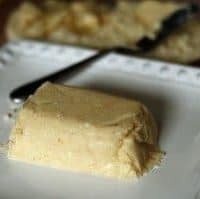 this sounds amazing with toasted bread or muffins. i will have to make some and try it out. omg this looks delicious. ur photos are so great that it makes it even more appealing! great post! !